On your 1st appointment, you can expect to be here for approximately 1.5- 2hrs max. You will begin with filling out paperwork after being greeted by our lovely receptionists. You can find and fill out the paperwork in the provided section below to save time. After your paperwork is complete. Your 1st part of your experience at Free Motion begins. 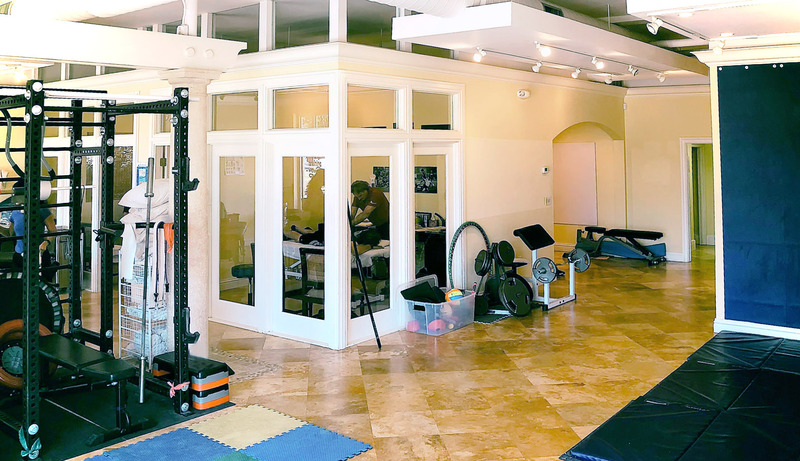 You will be taken to the treatment room by one of our trained doctors and go over an evaluation process and a full hands-on treatment (please wear comfortable and non-restricting clothing) where the doctor will do muscle tests, range of motion assessments and more. During this process, you will be educated on what exactly is going on so you are aware of what is happening and the plan to handle it and progress upwards to optimal functions. Any questions or concerns are welcomed to be communicated to the doctor to assist in any way possible. Following your treatment, you will be directed to our modality technicians who will apply any extra treatment protocol directed by the doctor such as Ultrasound, moist heat, ice, tape, electrotherapy or compression therapy. This is to aid in circulation, stability, the reduction of inflammation and more. And finally, if prescribed by the doctor, you will receive a series of specific exercises from mobility to various strength movements. You will work one-on-one with the exercise specialist or technician to learn and apply these exercises to help in your progress up the scale of function. These exercises will be available in video format in either the patient portal or your personal email. And as you progress through your program your exercises will progress as well.